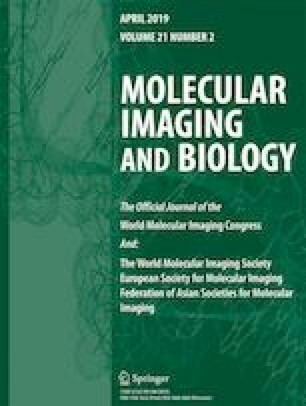 To evaluate the feasibility of motion correction in glutamate chemical exchange saturation transfer (GluCEST) imaging, using a rat model of epileptic seizure. Epileptic seizure was induced in six male Wistar rats by intraperitoneal injection of kainic acid (KA). CEST data were obtained using a 7.0 T Bruker MRI scanner before and 3 h after KA injection. Retrospective motion correction was performed in CEST images using a gradient-based motion correction (GradMC) algorithm. GluCEST signals in the hippocampal regions were quantitatively evaluated with and without motion correction. Calculated GluCEST signals differed significantly between the pre-KA injection group, regardless of motion-correction implementation, and the post-KA injection group with motion correction (3.662 ± 1.393 % / 3.726 ± 1.982 % for pre-KA injection group with/without motion correction vs. 6.996 ± 1.684 % for post-KA injection group with motion correction; all P < 0.05). Our results clearly show that GradMC can be used in CEST imaging for efficient correction of seizure-like motion. The GradMC can be further implemented in various CEST imaging techniques to increase the accuracy of analysis. This study was supported by grants from the Basic Science Research Program, through the National Research Foundation of Korea (NRF-2017R1A6A3A03012461, NRF-2018R1A2B2007694, and NRF-2018R1C1B6004521), and the Korea Health Technology R&D Project, through the Korea Health Industry Development Institute (HI14C1090), funded by the Ministry of Health and Welfare, Republic of Korea. This study was also supported by the 2017 University of Sydney Postdoctoral Fellowship Scheme (192237).